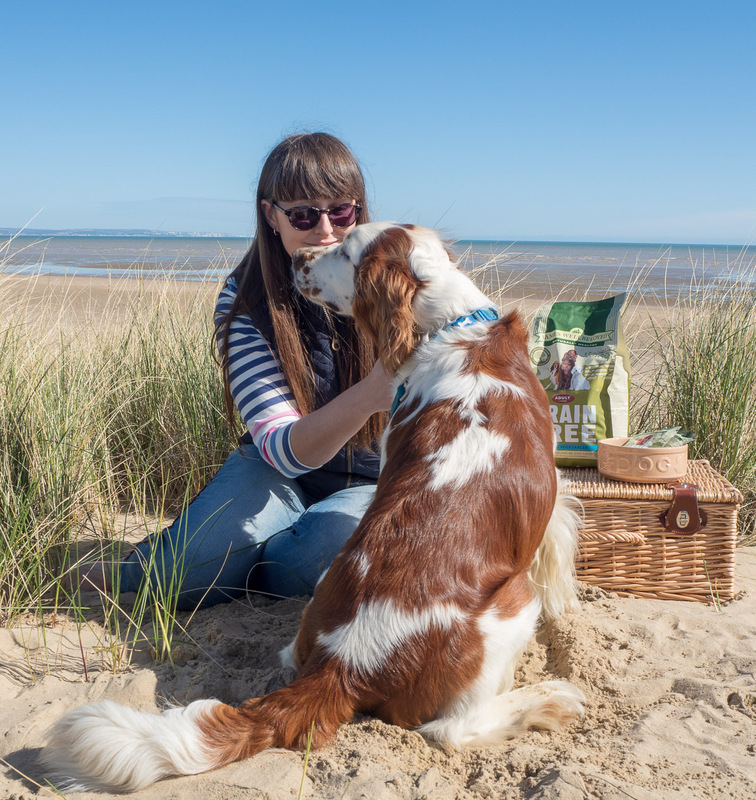 When it comes to questions on social media, a good 75 percent of them are directed at Falcon, our Welsh Springer Spaniel, he’s like the star of my Instastories without him I’m not sure what I would share, so I thought, as my 19 Things About Me blog went down so well recently, I’d share everything you need to know about what makes Falcon tick. 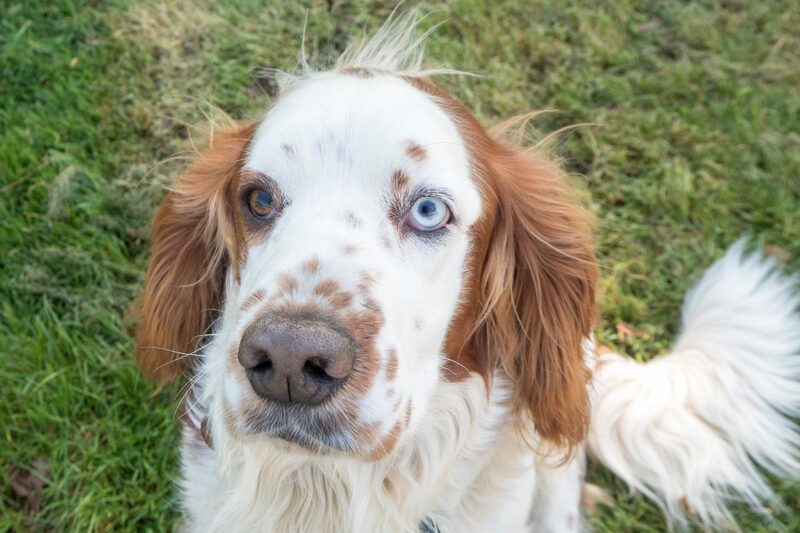 You see Falcon is my first ever dog, I remember when I was little badgering my mum for a Yorkshire Terrier, I’m not sure why that breed, who knows what a 6 year old Danielle was thinking, but a springer spaniel is a never a dull moment kind of dog, probably even more so with Falcon. When James Wellbeloved challenged me to come up with a Crufts category that Falcon would win, I have to be honest there were lots of options, hey I’m not saying that he is well-trained or well-groomed enough to take part in the real thing, but if it came to a 100m sprint along the beach, or wagging his tail (he was actually crowned Waggiest Tail as a puppy in the village show once), or even stealing, yep he loves to take things out into the garden, he would surely be a winner. But if I had to pick just one category it would have to be The Dog Most Likely to Escape. Seriously, Falcon has escaped from locked rooms, the only door handles that stump this intelligent dog are round ones, he even once wiggled out of his seat belt harness in the car as a puppy and nearly got out of the back window (that’s not nearly as funny as it sounds, I was terrified he was going to jump out in the middle of the Lake District), and no matter how many times my husband patches up areas in our fence he finds a way to escape to see his best friend, a horse in the paddock next door. What makes his naughty antics even worse, he does it with a smile on his face and his tail wagging, it’s hard to be mad at such a happy dog. Falcon is often called Bowie by strangers, as he has two different colours eyes like the late singer, a blue one from his mum and a brown one from his dad. 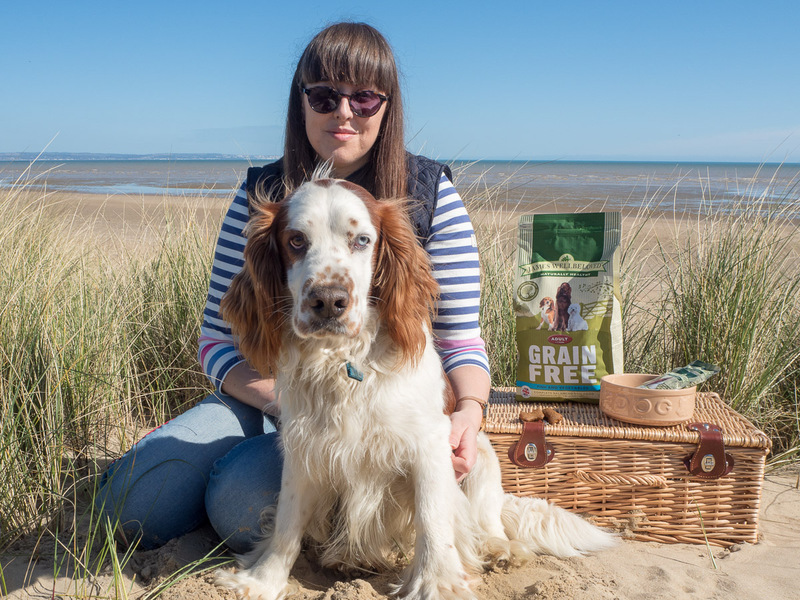 Falcon comes from a bloodline of show Welsh Springer Spaniels, I think it was his grandfather that actually won a category at Crufts! 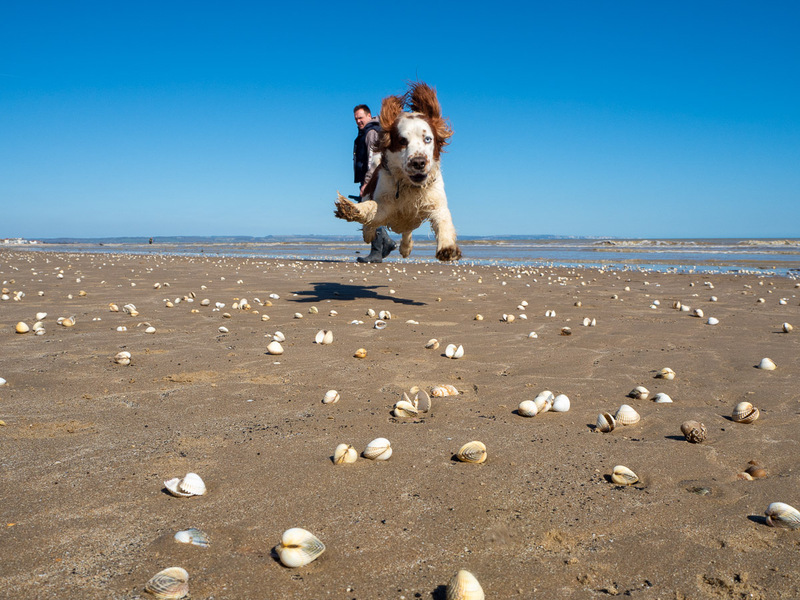 His favourite place in the world is the beach, he loves running full pelt down the sand. We used to have a problem with him speeding off after seagulls but thankfully training has really helped, never leave the house without handy treats. 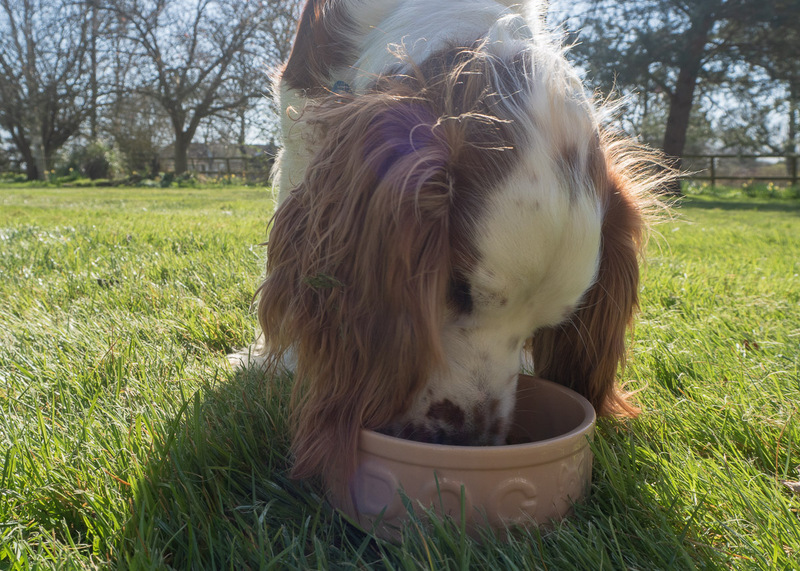 Falcon loves to play fetch, whether it’s a rugby ball, a football or tennis ball, the bigger the better though, he loves chasing them down in the garden. Take a ball outside of the garden and he’s just not interested. Falcon has to be the clumsiest dog ever. He doesn’t know how to put the brakes on that crazy speed of his, he is always mistiming jumps, tripping over branches, and generally not knowing what to do with his large paws. He is a hoarder of my husbands clothes, he literally steals his jumpers, coats and track tops to sleep on them, I’m constantly finding clothing all over the house. Falcon loves a cuddle, where he insists on being picked up, which was easy when he was a puppy, not so much now, luckily my husband can still do it, as his face when I explain that he is too heavy is heartbreaking. He isn’t that particular when it comes to his toys, he has lots but gets bored easily with them, if I had to pick his favourite it would be Polly the Parrot, if you hug her like a baby he gets super jealous. Making sure that Falcon is in winning form is our top priority and his diet is so important, and when he was a puppy our vets actually recommended James Wellbeloved as their products are naturally hypoallergenic, so less likely to cause an adverse food reaction, and for sensitive tums they even have a great grain free dog food range, which Falcon adores. 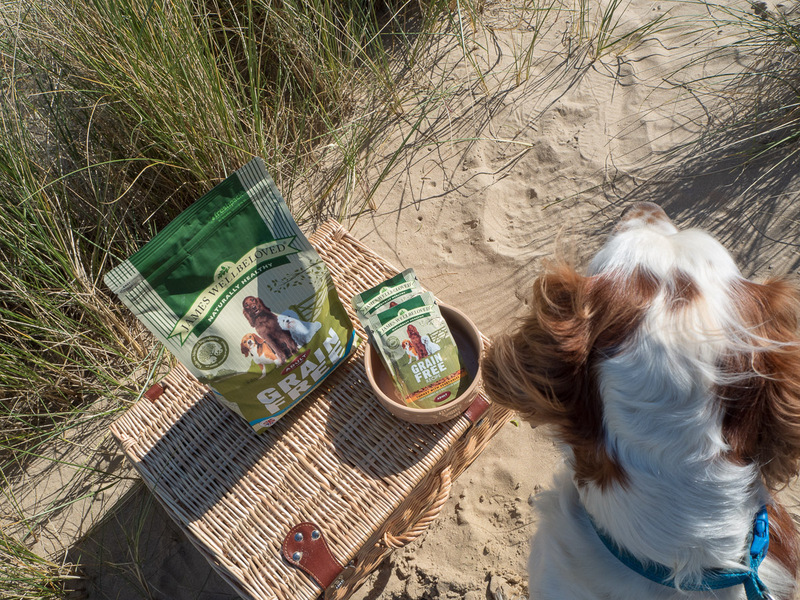 He is a big fan of the dried fish and vegetables, as well as their grain free treats, which are great for when we are out and about. 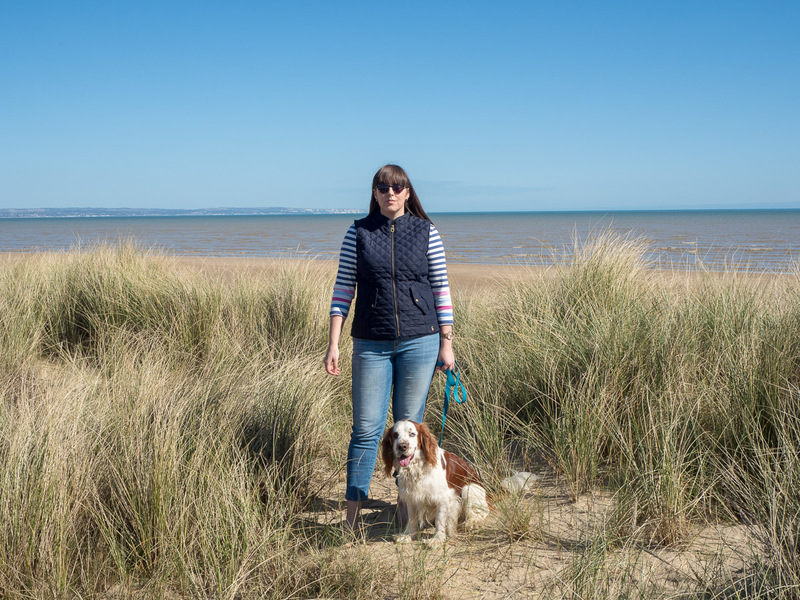 With a dog like Falcon who has lots of energy it is important to ensure that he gets enough exercise, he actually gets three walks, one first in the morning and last thing at night with my husband, and then a long walk across the fields, or at the beach with me during the day. It isn’t just healthy for Falcon but also great for me, getting outdoors not matter the weather is super important to both our wellbeing.